The book goes live on Monday, October 6th. But if you want to get your copy ordered now, you can do so at Amazon and Liquid Silver Books. 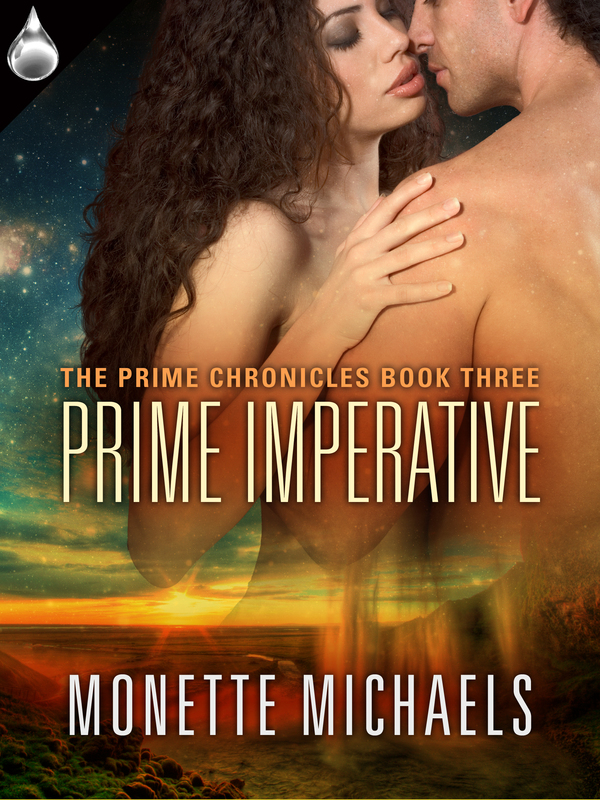 Also, I am having a Release Day Party on FaceBook and you can go Release Party for Prime Imperative and join the fun. Adopted and raised by Terrans, Dr. Brianna Martin never quite fit in. She’s thrilled to learn she’s a long-lost female of the Prime race. And that she has a mate living somewhere on the planet Cejuru Prime—one genetically destined to be hers alone. Before she figures out how to approach him, she’s attacked in her research lab. Iolyn Caradoc is stunned at the news that his mate, matched to him soon after birth, still lives. Even more amazing, she’s a research scientist on the verge of discovering why the Prime race is dying. But Pure Blood fanatics are trying to kill her and she’s on the run. Every primal instinct in him insists he find, claim, and protect his mate. But the woman won’t stay put. When Bria finally meets Iolyn, she’s thrilled. He’s everything she could want—physically strong, highly intelligent, and … the other half of her soul. Yet, he’s also an overwhelmingly dominant and stubborn Prime warrior who wishes to protect her from everything—including her own Prime nature. As a Prime battle-mate, she has newfound instincts and skills—skills that will make her a true warrior. Skills she fully intends to learn and use. If she manages to survive. Dr. Brianna Martin eyed her target and took careful aim. She nailed the male figure right between the eyes. There was no response from her research assistant Cheri Stafford. Instead she heard a gasp and the sound of Cheri moving quickly away from their impromptu contest venue. “Red alert!” Her friend growled the words as she made a move to cut off whoever approached. Bria peered around her friend and saw her nemesis, Jotak M’tali. Jotak, the chief of security for the research facility, strode down the long corridor in his ruler-of-the-planet, owner-of-all-he-surveyed mode. “Really? Now? Doesn’t that…that…” freaking, scary, creep-a-zoid “…man understand the meaning of the word no?” As in never, no way, no how, ever in the infinite future of possibilities. ~ by Monette Michaels on October 2, 2014. What a fitting mate she makes for Iolyn. I’m pleased that while this might be the conclusion of the original trilogy you promised you’re going to give us Damon and Susa’s story and hopefully additional stories in this world. Thank you!! There is a new trilogy in the works for Prime – Damon and Susa will kick it off. These will be short novels — or that is my plan. I also have a short story in the works for Cheri and Zaek.